To find out more about our herbal remedies courses, simply select from the menu above or click on the links below. 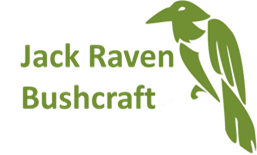 Jack Raven Bushcraft courses take place in Westwell, Kent, between Canterbury and Ashford and just 50 miles from the centre of London, in quite stunning ancient woodland in a designated Area of Outstanding Natural Beauty. We have access to around 60 or so acres of broadleaf woodland. Our camp is in a private woodland, which itself is in the middle of private land. Some of our courses are held in our purpose built workshop on a working farm. So that you can effectively learn the skills that we teach, we have created a learning environment in the woods. We have an expedition style camp with a yurt and wood burning stove, a parachute, a kitchen area, work benches and a composting toilet.